As part of the 2014 Bradford on Avon Arts Festival, there will be a chance to join in the Arts Festival Procession, starting at the Tithe Barn on the evening of Saturday 13th September at 7.30pm. 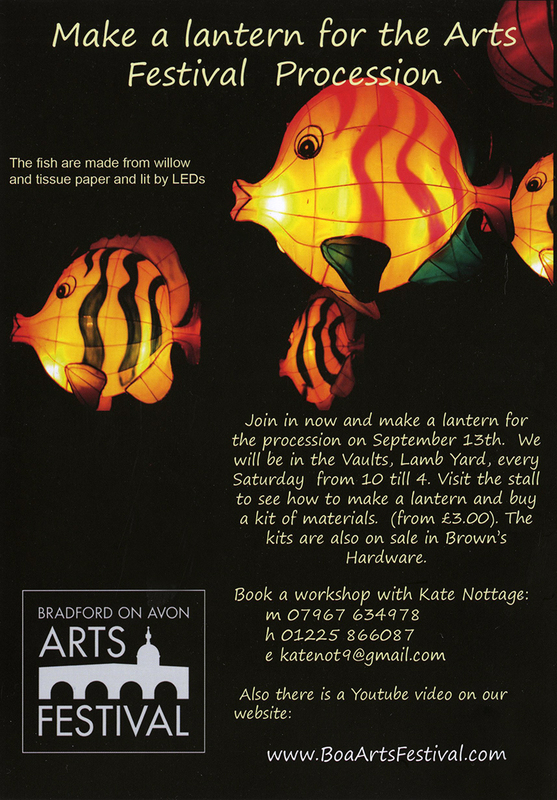 Kate Nottage will be setting up a workshop in the gardens here for people to learn how to make their lanterns in preparation for the event. This entry was tagged Arts Festival Procession, Avon Arts Festival, tithebarn workshops, upcoming event. Bookmark the permalink.